Ever had a really bad day on the golf course? We all have. I certainly have. I can blame the weather, the time of day, the conditions of the course… that bit of left over pizza I ate last night… We all can find an excuse for having a round of golf that is less than your best. But if you’re a golfer with a bit of experience, there is really no excuse for not knowing the basics of golf etiquette. There are certain social conventions and accepted behavior expected of every golfer who steps into the first tee box, and if you play with experienced golfers or especially if you play in a match play tournament, not knowing the basic rules of golf etiquette can cost you the match! Just try playing out of turn in match play and you’ll discover what I mean! I just received a review copy of a new golf etiquette quick reference guide. 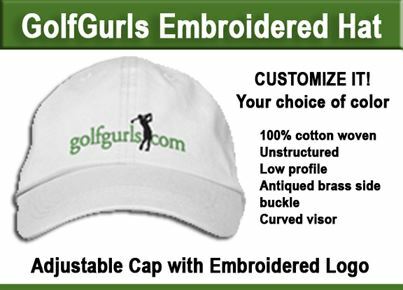 It’s a companion to the author’s best selling GolfRules Quick Reference, which has sold more than a million copies. 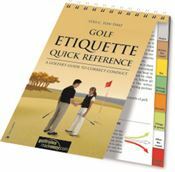 This new booklet, “Golf Etiquette Quick Reference” covers everything golfers of all skill levels need to know. Read this little reference book and you can play any course in the world with confidence – from preparing for the round at home to enjoying a drink at the 19th hole to safety to courtesy to fixing divots—the code of conduct is explained in a concise and understandable way. The guide is also extensively illustrated in color and is the perfect complement to the Golf Rules Quick Reference. 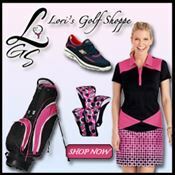 The 48-page, spiral-bound and plastic-coated book is now available in good golfshops and online at amazon.com.